If you’re hoping for an authentic experience, why not venture outside our resort to experience the Majorcan culture and learn about a different way of life? There’s no better way to learn than with the local markets. These market days present colourful and authentic bazaars, where you can buy everything from Majorcan food to fashion, and even souvenirs of your stay. Or after a long day by the pool, why not explore Club MAC’s nightly markets? With the relaxed atmosphere, it’s fun for the whole family. Here’s our guide to market shopping. Set in Alcudia’s historic old town, the picturesque markets are loved for their wide variety of products. Here, you can buy fresh fruit and vegetables, or try local snacks. If you’re more interested in fashion, the market is sure to meet your needs. Selling shoes, clothes, leather goods, jewellery, and much more. The markets keep up to date with all the latest fashion trends. With all this, and a whole lot more, it’s sure to be a day out the whole family will enjoy! The local morning Alcudia market is held every Tuesday and Sunday, in the old town, from around 7am to 1pm. The Alcudia Market is located 2.3km from Club MAC, if you don’t fancy a stroll to and from the market, buses are available. There is a bus available a short walk down the road from the hotel, to take you directly to the market or you can book a taxi at reception, which is both a quick and cheap option (costing around 5 Euros). 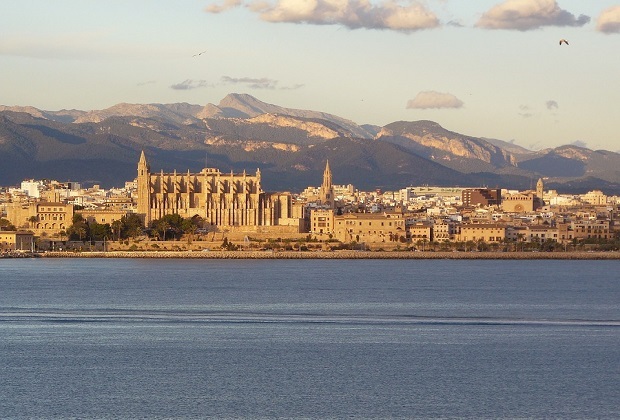 Alternatively, take in the beautiful views of Alcudia, with a 15-20 minute walk from our resort to the markets. During the summer months, you’ll find a night market in Port d’Alcudia. Taking place on Wednesday to Saturday evenings, these markets are placed along a pedestrian area, close to the port. Here, you can find many stalls selling local crafts and souvenirs. This market usually starts around 6pm and carries on until around 10pm. In addition to the Alcudia old town market and the Port d’Alcudia night time market, we also offer a nightly market at Club MAC by the lake. We provide an enhanced shopping experience with small market stalls set up by local traders. You can expect to find many enticing products on offer, such as toys, crafts and live portraits. Here at Club MAC Alcudia, we like to offer you a chance to spend your holiday money on souvenirs you’ll love. So, get those Euros ready – there’s something for everyone here.